As we get closer to starting the GAPS intro diet, I thought it would be easier to ease our way into it. After all, the last time we tried it over two years ago, the die off cravings were unbearable and I ended up eating a ton of honey, which isn’t even allowed at the beginning. It was a nightmare. 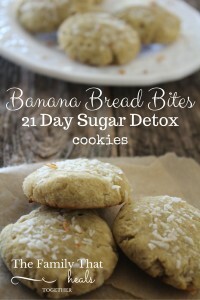 This time, we are doing the 21 Day Sugar Detox in preparation, and so far, it’s been really easy! We are attending a homeschool coop once a week, and this first week, my son’s class was going to have cookies. Not “healfy” cookies. Obviously. 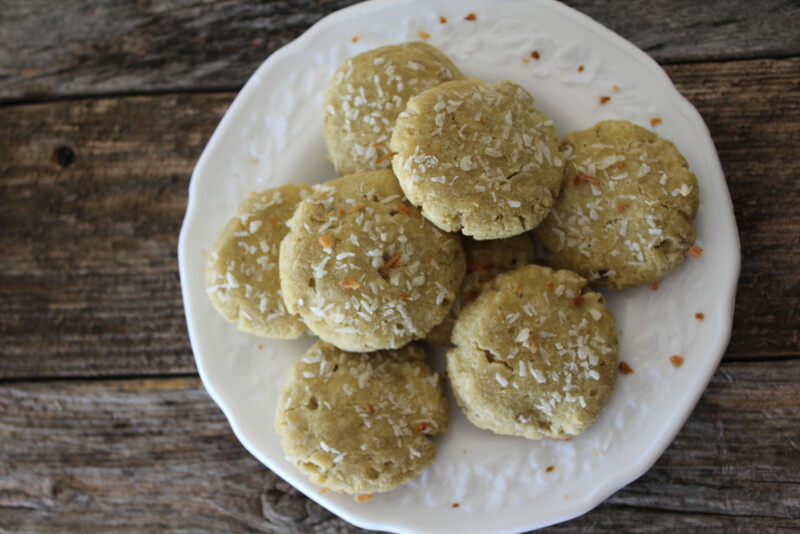 I decided 21 Day Sugar Detox or not, I better make him an alternative, so I threw together some ingredients I had on hand and came up with a simple 21dsd – compliant cookie. And the kids enjoyed them! 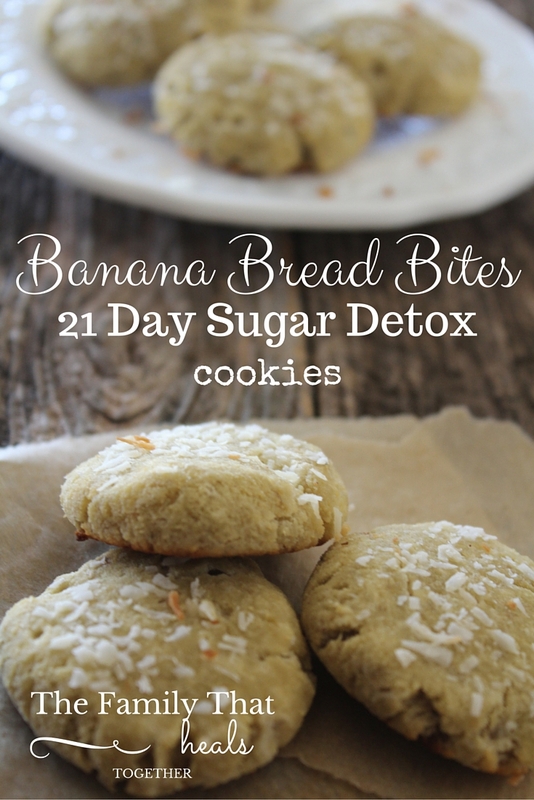 Update: Doing the 21 Day Sugar Detox was an integral step in prepping for the GAPS diet! It really helped us by preparing our bodies for a lower-carb, starch, and sweets-free diet. It can be so helpful to take baby steps when preparing for an intensive healing diet, and this really worked for us. You can read all about our experience on the GAPS intro diet here. Aside from that, the 21DSD helped a ton to stabilize my blood sugar which helped in healing my adrenals. I can’t recommend it enough. Mash the banana with the butter, using a fork. Add the egg and vanilla and combine well. Add the coconut flour and continue mashing until a dough forms. Pinch off tablespoon-sized pieces of dough and roll into balls. Place on a parchment lined baking sheet and gently press with the palm of your hand to create a cookie shape. 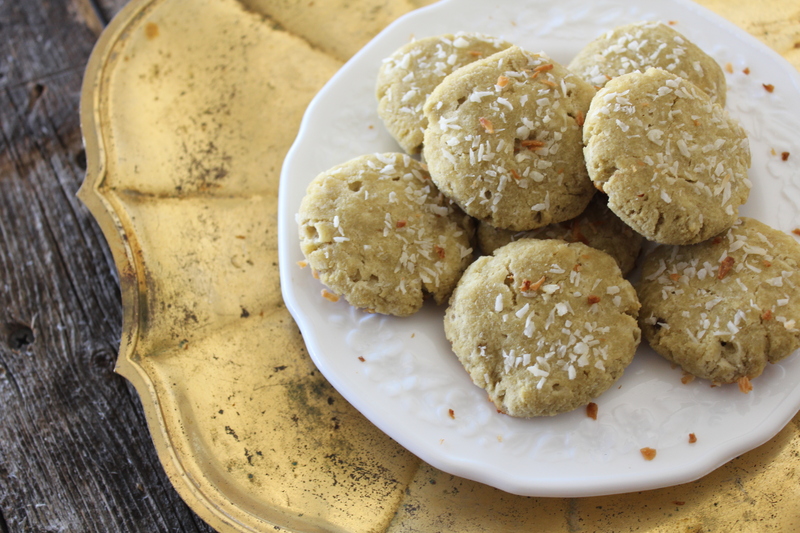 Top with shredded coconut and bake for 12-15 minutes. Makes about a dozen smallish cookies. Share this post below and your sugar-withdrawing friends will thank you! What quantity is T in the ingredients list please ? I am off dairy, can I substitute something for the grassfed butter? Sure. Coconut oil should work just fine! How do you count these? How are containers counted and how many cookies per serving? I’m not sure exactly what you’re asking, Lanay. What about adding a little bout of cocoa powder to this recipe ? Has anyone done that? I haven’t, but if you do, let us know how it goes! Can you explain the reasoning for the green tipped banana? 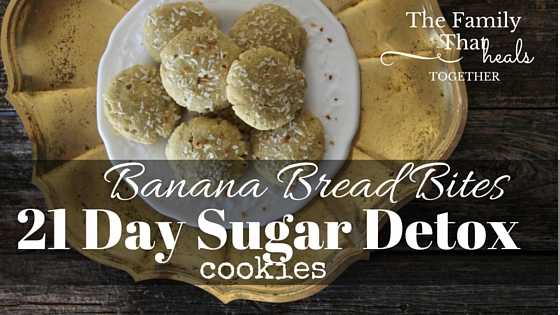 Usually baking is done with overripe bananas. Thanks. Because they do not taste as sweet. It’s a rule in the 21 Day Sugar Detox.